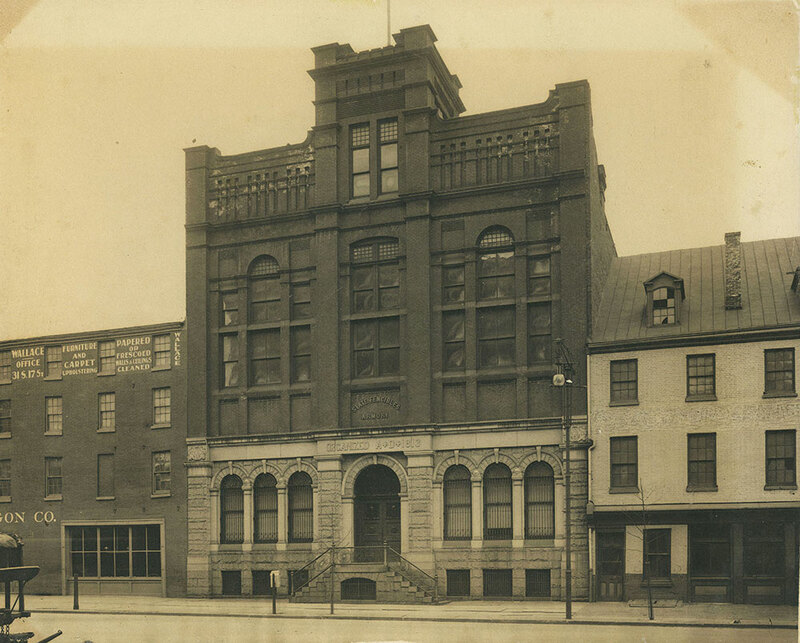 View of the State Fencibles Armory Warehouse at the southeast corner of Broad and Race Streets. Demolished, date unknown. From 1813-1981 housed the Old Guard State Fencibles, "a military organization raised in Philadelphia in 1813 as part of the Pennsylvania militia and continued as a unit in the National Guard until independent battalions were abolished around 1900. The unit then was chartered as a Philadelphia quasi-military unit and continued as a social club."